Theme Manager 3.0 allows to you apply complete themes and suites easily and safely. 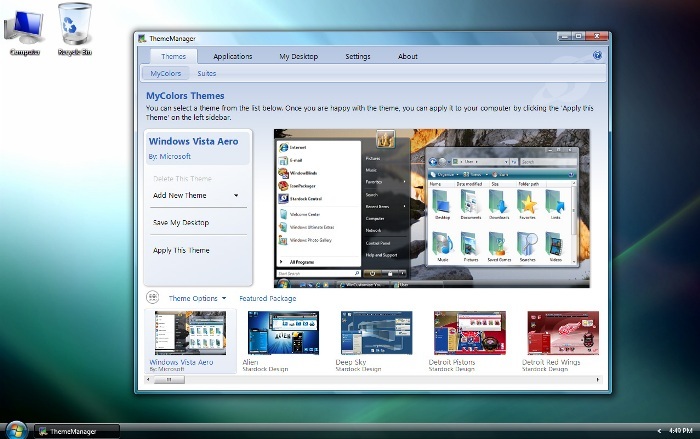 Theme Manager is a front-end to other desktop enhancement programs to simplify the user experience and is only available exclusively through Object Desktop. ● Apply skins, icons, wallpapers and more!